"I just wanted to say thanks to Captain Cody for a wonderful fishing adventure. I have been fishing many times but never like this. I caught fish after fish and it was amazing reeling those suckers in. Captain Cody went above and beyond to keep those fish on my reel and when I needed help he was there. I just wanted to say thanks Captain Cody for the most amazing trip I have ever been on. When I'm back in Galveston you can GUARANTEE I will call on him again. Thanks for the adventure." "Thanks Captain Cody for a great day of fishing! You run a first class operation, we can't wait to come back again. The fishing was outstanding. I've been deep-sea fishing several times, and this was absolutely the best experience I've ever had!" "Man did we have a great time bay fishing Saturday. It was a blast! This being my second time fishing with you I have noticed that we are the ones catching the fish while others are just looking on wishing that they would only catch one fish. My friend caught the biggest fish of his life, a 45 inch bull red. When we arrived home we broke out the tape measure just to amaze ourselves again on how big the bull red "REALLY" was. For my experience, after many years of fishing in the bay I caught my first sting ray. That 30 minutes of fight was fun and exciting. You have my friend hooked on fishing and he is already talking about taking your deep sea fishing trip next time." "Captain Cody did an excellent job putting me on the fish and keeping me there. I am not an expert fisherman by any means and Captain Cody went above and beyond to make me feel comfortable. His prices are unbeatable along with getting all the extras that go along with a guided trip. I will definitely use Captain Cody again." 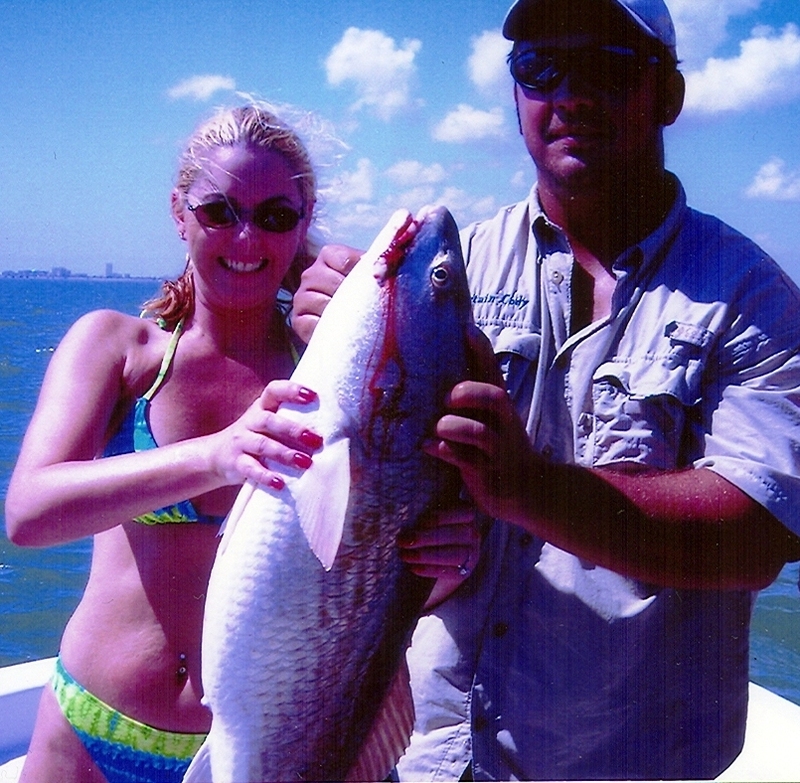 "My experience with Captain Cody was the best fishing trip I have ever been on. Even after being sick on the boat all day I still am looking forward to going again. My friends and I had a blast and were taken care of every step of the way, from the time we arrived in Houston to the time we left. Cody knew exactly where the fish were and put us right on them for a great day of fishing. I really look forward to getting down that way again and going out for some fun again." and my dad is now 1 and 4 fishing with a guide thanks for adding a 1 in the actually caught fish category. See you soon......."
Call Captain Cody at 713-828-6021 to book a trip!